At last night’s Masters of Design event, Fiona Morrisson, who helped transform JFK’s T5 terminal into JetBlue’s hip, people-friendly gateway, teased the audience about the airline’s forthcoming brand campaign. Behind it, she says, is an industry adage that’s especially popular at JetBlue: You’re not flying planes, you’re flying people. As relevant as that is to the company’s passenger-centric image, the statement makes even more sense in the context of JetBlue’s new ad campaign, which debuts today and launches officially tomorrow on YouTube. The print component is upbeat–uplifting, even. 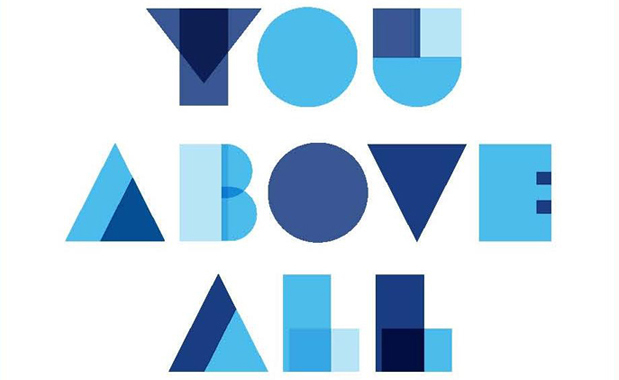 “You Above All” is the snappy centerpiece slogan–done up in a cool blue type treatment. The video advertisements take the power-to-the-people message even further–and in a decidedly more aggressive direction. Adding a human element to the irritations of travel appears to be an attempt by JetBlue to cork some of its recent press. In August, JetBlue flight attendant Steve Slater made headlines after he lost his wits over an unruly passenger, grabbed two beers, and dramatically exited the grounded plane via the inflatable emergency slide. Slater instantly shot to folk hero fame, and the story dominated the news cycle for days. While many may have expected the airline’s image to be tarnished, it appears JetBlue survived the fiasco unscathed: Traffic rose 15% this past month. Still, that hasn’t stopped the airline from aggressively pushing out this new series of ads. JetBlue said it would spend $3 million on the campaign through the end of the year. Two beers and one slide would’ve sufficed.